For this installment of Firm Profiles, we are taking a look at Abt Associates – a firm that is known for utilizing innovation and creativity as a means of tackling some of the most difficult social issues present today. A conscientious and research driven firm, Abt seems to have one thing on its mind; improving the lives of people worldwide. While it’s one thing to have noble goals and intentions, it’s a different thing entirely to execute them. From low income housing, to NASA, to mass transit systems, Abt has pretty much done it all. Enjoy this story of how this small but mighty firm became the powerhouse it is today. In 1965, Clark Abt, from whom the company got its name, founded Abt Associates in Cambridge, MA. His goal was to head a company that would provide creative solutions to the most difficult social issues of the day and to raise the quality of life for those who were most disadvantaged. Some of the first contracts the firm won, including elementary school educational games and national security, demonstrate how they started off in the same way they wanted to continue. In 1967, Abt won its first contract with NASA, which would eventually turn into a long-term relationship. Their early work with the space agency was focused on using NASA technology in urban construction, science and technology as a tool to positively affect social and economic change. 1968 was an important year for Abt. They opened their Washington, DC offices to service their federal clients more effectively, successfully carried out an extensive piece of policy research for Housing and Urban Development (HUD) and foreran the use of social science methodologies, like case studies and cost-benefit analyses, as an aid to federal agencies seeking to understand and overcome difficult social challenges. It was a good first 5 years for Abt, and things carried on in much the same way as they started a job corps at the company headquarters, providing single mothers working at their day center with training in childcare, social work and computer programming. Abt also conducted the first social audit. A brainchild of Abt himself, the social audit was a tool to measure how much the work they did was adding the quality of life, both in terms the communities they touched and their own employees. By the time Abt turned 10, it was the largest private social science research firm in the U.S. and boasted 447 employees. However, as Reganomics took hold in 1981 and federal research budgets were cut drastically, Abt responded by diversifying its client base and working with commercial entities. 1986 saw the main man, Clark Abt, retire from his executive role to take a place on the board. Chief Scientist Walter Stellwagen took his place. In the years that followed, Abt’s client base diversified even more both in terms of social research and commercial clients. As growth march on, Abt continued to win significant contracts. Some examples include nationwide HIV prevention trials and the “ZdravReform” project of 1994, which was designed to strengthen the health systems of newly independent states such as Russia and Belarus. For the next decade, Abt enjoyed sustained growth as it solidified its already glowing reputation in both the research and commercial worlds. In 2007, Abt bought the NYC-based research firm SRBI, combining two market leaders and greatly impacting both companies. In terms of their more recent history, Abt show no signs of slowing down. In 2009, the UK Department for International Development awarded Abt $200M+ to strengthen Nigeria’s health system, the largest contract in the Company’s history. In 2013, Abt bought JTA International, a health and social sector consulting firm in Australia, giving the firm a presence in the Asia-Pacific region and strengthening the depth of their knowledge in international health and development. At the top of the Abt food chain sit the Board of Directors. There are 11 in total, President and CEO Kathleen Flanagan and 10 outside directors. One of the board’s main directives is to map out and implement the company’s five year strategy. After the Board come the Officers. There are 36 in total, occupying various roles within the company, from CCOs to Vice Presidents of certain divisions and the CEO. Next come the Senior Fellows, who are considered experts in their field. Then come the Principal Associates & Scientists, followed by the Associates. Read enough to know Abt Associates is for you? The company has 5 corporate offices in the U.S. and program offices in more than 40 countries. An experienced candidate with a Master’s degree or Ph.D. may join Abt as an Associate, and may continue into a position of Senior Associate or Principal Associate. Undergraduates will join Abt as Research Assistants. Research experience is highly valued at Abt, but remember: it’s still imperative to discuss how the research can be driven to implementation, not just research for the sake of doing research. Abt offers summer internships each year. Their Internship Program is posted late Winter and applications are posted in Spring. The internship is 10 weeks long, running from June-August. Getting an internship at Abt is a great way to position yourself for a job offer. The feedback they receive from their past interns is generally favorable, although some found it a little too unstructured for their liking. Abt seem to be something of an anomaly when it comes to the firms we tend to cover, so their exit opportunities are also going to be different. The emphasis they place on subjects like public health, social sciences and international studies is a great indication of that. If you are looking at moving to MBB and other pure strategy firms, Abt is not the place for you, noble though they may be. The types of opportunities that are available to Abt are strongly in line with the work that they do, focused on non-profits, development, social policy and many others. To position yourself for MBB, except perhaps for a very specific practice area at McKinsey or Deloitte’s Federal Consulting practice, it makes more sense to focus on commercial or private-sector opportunities. However, if you will likely be interested in doing work in the public or non-profit sector, Abt is one of the best firms available in which to train and apply your skills. Abt employees are generally very happy about their work-life balance, their colleagues and how passionate everyone is about their work. That’s right – Abt people love that other Abt people love being there. Abt is also known for its flexibility, its benefits and its approachability. If you need to work from home some days, they will allow for that. If you take public transport, they’ll give you a transport subsidy. And if you need advice with a project, management and senior staff are very helpful. On the other hand, junior employees have found that their chances for career development are limited, especially without an advanced degree or a Ph.D. in public health or something similar. Also, for those of you looking at making as much money as possible, the pay at Abt is a lot less compared to a lot of other firms. Though you won’t be financially desperate, the nature of the work they engage in is much less lucrative than strategy consulting for Fortune 500 companies, and this difference will be reflected in your salary. Top 50 and Global Top 25 U.S. Market Research Firm – Honomichl U.S. The very first stage of recruiting at Abt is their online application, where you will upload your resume for screening. 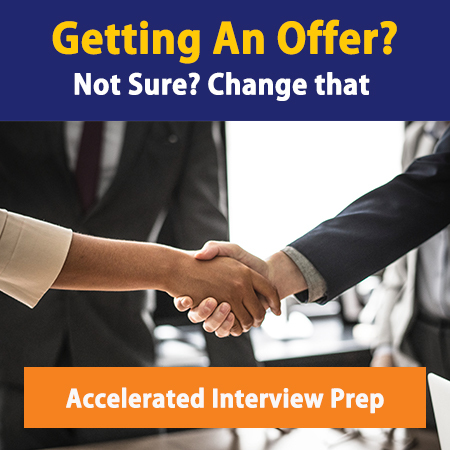 If you pass the initial screening, you will have different in house interview days, possibly preceded by a phone interview depending on your location. Once you get to the face to face interviews, you need to make sure you know how to walk through your resume with precision. Abt do not place as much focus on cases when compared to MBB et al, so your job in the interview is to paint a glowing picture of your experience and your technical ability.